This Friday, our weekly YNaija Interview was with Mallam Nasir El-rufai, the former Minister of the Federal Capital Territory. @YNaija: Welcome to this week’s edition of the #YNaijaInterview. 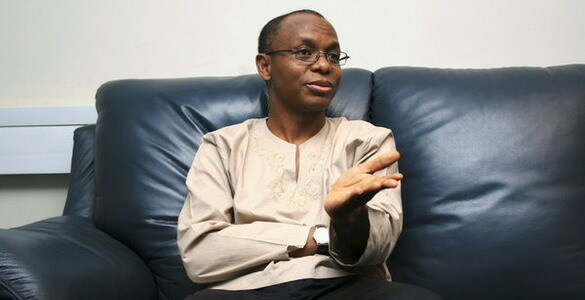 Our guest today is Mallam Nasir @elrufai. Good morning from all of us at YNaija. LOOK AT THAT FOOL, HE HAS A FARM, I DONT REALLY UNDERSTAND THIS PEOPLE, ARE THAT NATURALLY LAZY TO EXPLORE THEIR NATURAL RESOURCES IN THEIR REGION FOR THEIR DEVELOPMENT AND CEASE DISTURBING THE SOUTH. WHO IS FOOLING WHO? YOU JOURNALIST ALWAYS POKE YOUR NOSES IN A WRONG PLACE AND WITH WRONG PEOPLE.